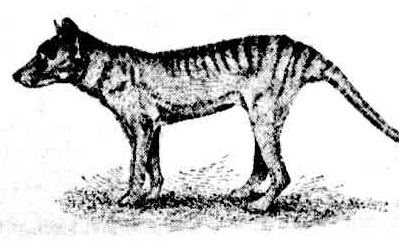 This is my story of what I believe to be my very own Tasmanian Tiger sighting. It was back in 1981 when I was working as a Jackaroo on a property in the SE just over the border in Victoria. The property was just on the edge of what was called the "Great Sandy Desert". It was white sand covered in mallee scrub. The boss was away and I was looking after the property on my own (Which I enjoyed because I could work at my own pace). One of my daily duties was to check the troughs and clean them when necessary as well as keeping an eye on the sheep. This meant riding around on a motorbike because it was the quickest way. I was riding in the early morning through a paddock of stubble and yacka bushes being careful to avoid fox holes that had a tendancy of sending you over the handle bars. The sunlight was still quite soft and it warmed my bones nicely as I putted along in a dreamy state. I came over a rise slowly and looked down into the small valley below and I saw a strange dog-like creature with it's nose inside the ribcage of a dead and decomposting sheep carcass. It didn't notice me at first and I initially thought it was a large fox. When it looked up it immediately scampered for the boundary fence and I could see it had a large head and a long spindly tail that I thought looked emaciated as it was striped and looked like it was the definition of bones in the tail or at least thats what I thought at the time. I passed it off as a wild dog with a disease or something and didn't really think more about it. 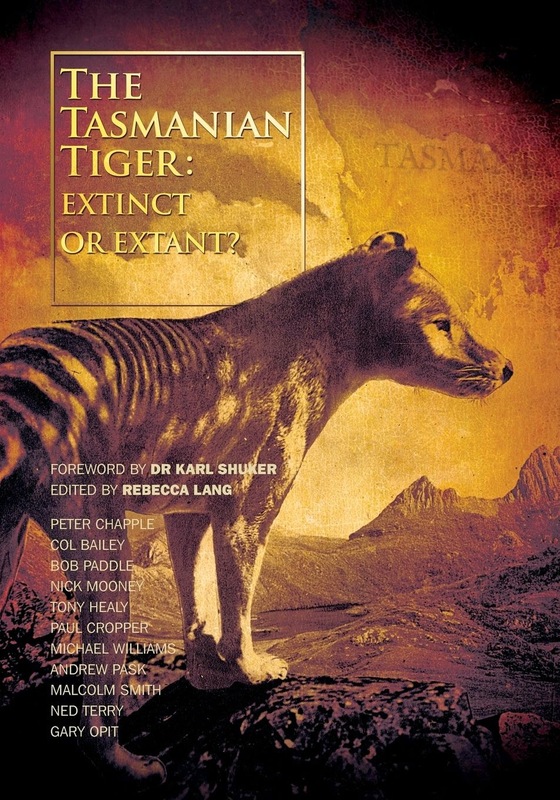 It was many years later that I was listening to late night talkback radio when I heard a guy ring up and say how he was sure he had seen a Tasmanian Tiger when he was driving in the very area I used to work! He said how it had darted out onto the road as he was driving and ran alongside his car for some distance and he was able to get a good look at it. He described it and to my suprise his description took me immediately back the ten years or so to what I had seen in the same area! It blew me away as it dawned on me as to what I had seen! 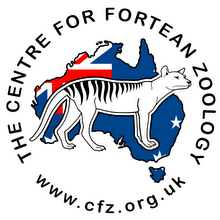 I can now say I feel blessed to have been one of the few people to have seen the elusive Tassie Tiger!